If you’ve ever sought help for hip or knee pain, patella femoral syndrome, or a chronically tight Ilio-Tibial (IT) Band, chances are you’ve been given the clamshell exercise. 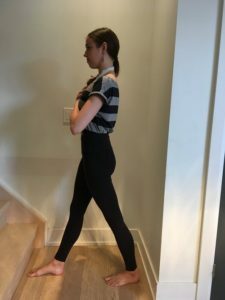 This corrective exercise is prescribed to patients to address a common imbalance in the outer hip muscles (the abductors): a dominant tensor fasciae latae (TFL) and a weak gluteus medius. Frequently paired with rolling the lateral thigh on a foam roller the goal is to get better gluteal support and lessen the pull on the IT Band. As teachers we always watch clients do their assigned homework exercises as it helps us to gauge what the clinician deemed weak or tight, as well as to find out how well the client performs it. There are a handful of prescribed exercises that we see frequently, the clamshell being the top among them. Yet I’ve seen few exercises that are prescribed as regularly and that fail as frequently as the Clamshell. How do we know it’s failed? When we ask where they feel it, the response is usually along the outside of the thigh, the knee, or the hip flexor, exactly what one is trying to avoid. The intended target, the gluteus medius muscle reportedly feels minimal work. Slight work in the weak muscle and intense work in the dominant muscle is not going to improve the strength imbalance. It’s not the clamshells fault. Or the practitioners. Theoretically it’s a great exercise. The muscles are positioned against gravity at an angle that should target the right thing. But so much can go wrong. 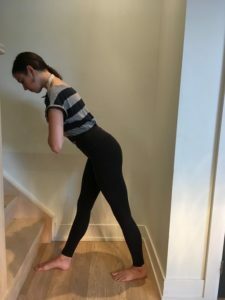 If you are prescribed the clamshell there is usually some underlying postural or patterning issue that is feeding into the problem in the first place. And if you need 10 corrections to do it properly, it’s not suitable as a home exercise. Perhaps that is also why clients report doing it well with their physiotherapist but are unable to replicate it later on. Like a cue, an exercise, especially a prescribed therapeutic exercise, is only as good as its result. We used to teach the clamshell too, until we banned it from our teaching years ago. It seems to make so many people worse and only seems truly successful on those that don’t need them. Always know the goal of the exercise and know when it’s not working. Talk to your practitioner when you get any exercises prescribed. Make sure you leave understanding what the goal is and also when to stop. When it’s not working for you. Muscles are more likely to function well when the skeleton is well aligned. If the hip is shifted forward you are predisposed to poor hip function. What contributes to hip socket shifting? These are a few of many factors. We use the following sequence to help people sense and improve hip socket placement prior to strengthening. Awaken hip awareness. Take a moment to sense hip tension. Using your fingertips tap around the front and side of one hip. The top of the leg, lower pelvis, hip crease. Do this for one minute. Pause and assess. Can you sense it more than the other side? Awaken bum. Squeeze your bum and sit bones together. Fully release. Repeat 5x. Keep it released. Walking hinge. Place one foot forward. (hold on if necessary). Moving from the hips, hinge forward letting the gluts and sit bones release and widen. Lightly use the bum to return to upright. Try to sense when you are on the hips not shifted forward or back. Repeat 5x. Repeat with the other leg forward. Hinge forward from the hip. Release the bum and sit bones to hinge – don’t grip. 4. Sense tension levels. Slight improvement? Now try clamshells or whichever strengthening exercise you’ve been given. This is just one way to improve hip function. Nothing works for everyone. Talk to your practitioner or movement specialist to find other solutions that will work for you.